I am extremely excited to begin another year as Principal of Whitson Elementary School. Below is a bit about myself, and what led me here. I grew up in Corbett, OR., the son of Dennis and Sandy McCauley. Sandy was an Instructional Assistant and Head Cook for Corbett School District. Dennis was a teacher and eventual principal in the Reynolds School District, as well as principal in Hood River at Mid Valley Elementary for over 10 years. He inspired me to work in education and encouraged me to apply for a Westside Elementary Vice-Principalship. Prior to my work in Hood River and White Salmon, I taught elementary and middle school in the Reynolds School District for 10 years. My heart has always been at the elementary level, but 4 years as a Vice-Principal at Hood River Valley High School challenged me in new ways and strengthened my ability to lead with a broader perspective. My wife and I used to spend a lot of time hiking in the Gorge and dreamed of living here someday. When the opportunity came up, we felt like it was a dream realized. We rented for awhile before deciding to settle in White Salmon. We really connected with the community and wanted our children to go to school here. I knew they would have a similar experience to mine growing up in Corbett which was really special. Attending school in a small district affords families and children opportunities they might not otherwise have in a big district. It also means kids and their families interconnect in a different way. That connection is a foundation for the rest of their lives, academically and personally. I am honored to be part of each child's life. 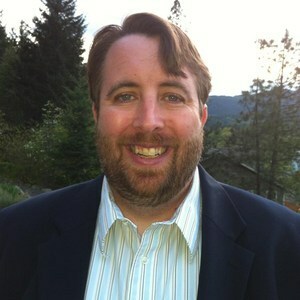 I am married to my wonderful wife Jennifer, who is a Nurse and Lactation Consultant at Hood River Providence Hospital. We have three children, Sawyer, Lilly and Jasper, who attend school in the White Salmon Valley School District. I applied for the Whitson Elementary position because it felt like a perfect match to my skills, talents, and experience. It allows me to support the families of this community in a very tangible way that is powerful and meaningful to me. I care deeply about helping children realize they have potential, and that each child is important. Working with teachers, students, and families to ensure all students reach their full potential and are ready to be successful high school graduates will be my primary focus. My K-12 experience and training has prepared me well for this challenge. It has given me a clear perspective of what students need to be successful for their future and I will use all my abilities to help those goals become a reality.